Caldwell Esselstyn Jr., M.D. is a ground-breaking pioneer in preventive and restorative cardio-vascular medicine and a world class athlete. In 1956, he received a gold medal in rowing at the Olympic Games. In 1968, as an Army surgeon in Vietnam, he was awarded the Bronze Star. He received the Distinguished Alumnus Award from the Cleveland Clinic Alumni Association in 2009. Dr. Esselstyn’s scientific publications number over 150. His pioneering research is summarized in his best-selling book Prevent and Reverse Heart Disease. In 2013 he received the Yale University George Herbert Walker Bush award for lifetime achievement. 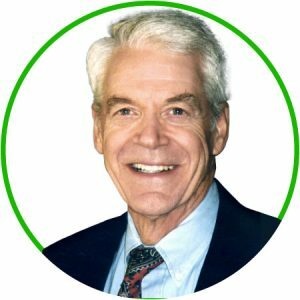 Dr. Esselstyn is featured in the popular plant-based diet documentary Forks over Knives and appeared in the CNN special, “The Last Heart Attack” and other CNN programs relating his work to President Clinton’s decision to become a vegan for health reasons. Valuable information on the natural history of heart disease comes from studying those cultures where it is virtually non-existent. These plant-based cultures never compromise the vitality of the mechanisms designed to protect our vascular system, which are injured daily with our Western diet. We will examine how these systems work when optimal and the consequences to our health when they are repeatedly injured. This presentation will chronicle my initial research and subsequent clinical strategies which can prevent, arrest and reverse heart disease. This segment will also review the added benefit of reducing the likelihood of dementia, Alzheimer’s disease, peripheral vascular disease, ED, and many of the common cancers with plant-based nutrition. Don’t miss this motivational, inspiring and informative Q&A with plant-based diet luminaries Dr. Caldwell Esselstyn Jr., Dr. T. Colin Campbell, Dr. Joel Kahn and Dr. David Blyweiss facilitated by cruise director Sandy Pukel. This is your chance to get all your questions answered. Whether you have been practicing a plant-based lifestyle for years or are just getting your feet wet, these experts can take you to the next level. Get the real scoop on living well, eating well and taking control of your health.